As an MKP Declared Elder, Member of Lodge Keepers Society, and Storyteller, Walter Moller has been teaching folks how to make Drums, care for them & bring them to life for a decade and a half as part of his Spiritual Practice. This special opportunity will fill with 10 total, so sign up soon and plan to reconnect yourself to the rhythm of the Earth with the heartbeat of your own DRUM. 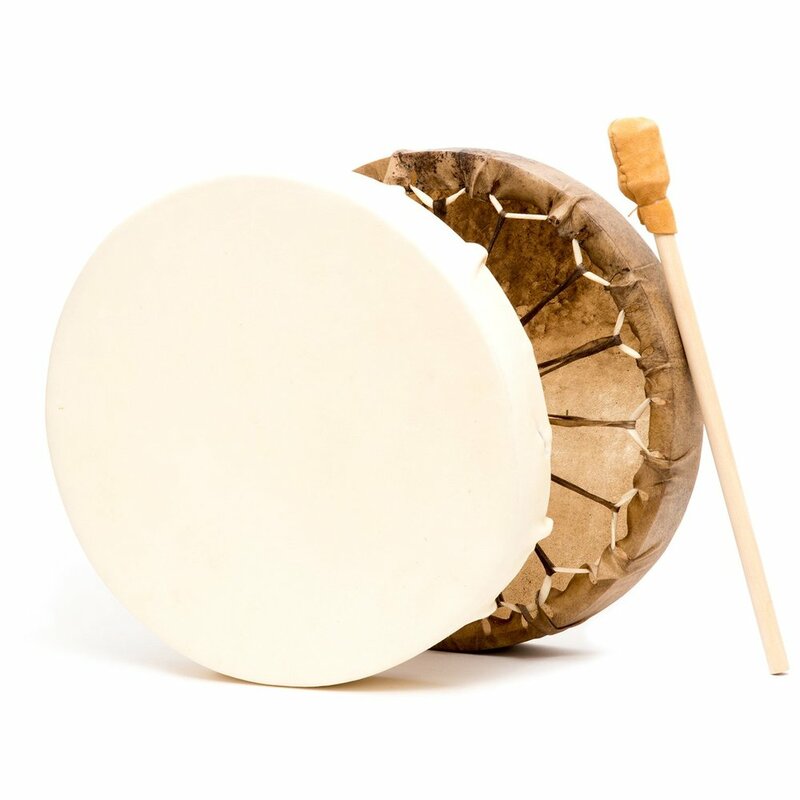 Several Drum Frame sizes and different hides to choose from-once you are registered you will choose your materials. Registration for this small and special workshop closes on Friday August 4 or as soon as it fills up, whichever comes first. Please note that this workshop is two 4 hour gatherings starting with Saturday August 11 from 1-5pm to make the drum wheel and to let them cure followed up by another 4 hours on Saturday August 18 from 1-5pm to make the drum stick and complete the process. Walter will share a Mother Drum to enliven all of the newly created hand drums. This is a sacred and special experience! Tibetan and Crystal Chakra Sound Bath for TEENS! Website by Royalty Rush. © Copyright 2019. All Rights Reserved.